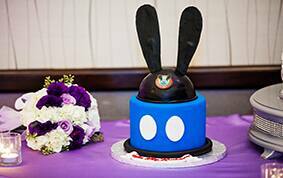 Today's Wedding Cake Wednesday is equal parts thoughtful and adorable. 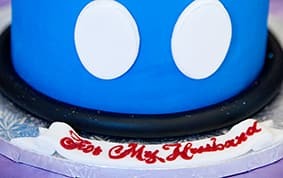 Shannon's sweetheart Lewie loves Oswald The Lucky Rabbit, so she decided to surprise him with a cake inspired by the iconic Disney star himself. 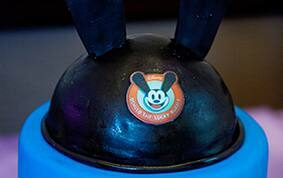 In a sweet nod to one of the first cartoon characters created by Walt, the cake's single tier is decorated to resemble Oswald's shorts. 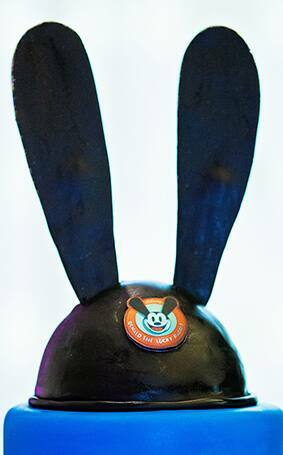 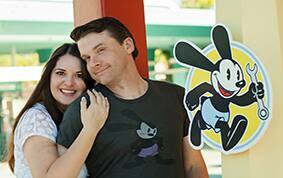 Perched on top of this petite treat is a giant set of Oswald ears that is authentic down to the patch logo. 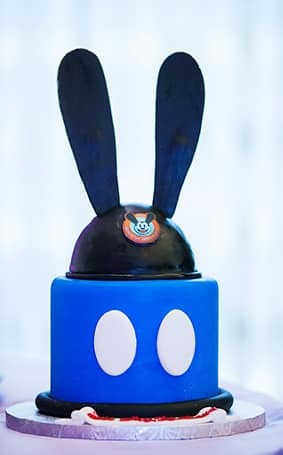 Now that's a groom's cake!